A call to action, CTA, is a clear instruction designed to provoke an immediate response. Whether you say something like “call now” or “find out more”, you’re attempting to convince your audience to delve further into your site or services, without being forceful or demanding. You don’t want your audience to feel like you’re telling them what to do, but rather offering suggestions and assistance to better themselves. After all, when faced with “you’re not doing this correctly so you need to click here now” or “for more information on how to increase your website traffic, click here”, which are you more likely to choose? There are three main parts of a call to action: the offer, the copy and the design. All three of these pieces must be well thought out and designed to not be demanding, but to make people do what you’re asking. 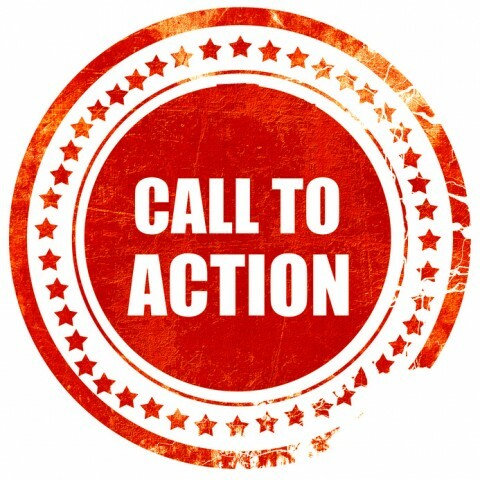 Here we’ve developed some practices for your calls to action to help minimize the overpowering and increase your success. The best way to convince someone to do something? Give them something in exchange for doing it.This doesn’t have to be an all out promotion either. When shopping online there seem to be more and more pop ups asking you to complete a survey after you’ve finished shopping. The ones that offer a coupon, like for 10% off my order, are the only ones I participate in. The same kind of idea goes for IT but, instead of just money off a service, you can offer something small that can help your audience solve a minor problem they’ve been having. You must also know your target in order to be sure that the format of the freebie is something they’re going to want. Some people prefer videos, some white papers, trials, consultations, ebooks, webinar recordings, etc. By doing this you’ve shown them both that you care about their success and that you know what you’re doing. This can lead them to lean on you for bigger problems, and typically brings about a sense of loyalty. Bottom line is: Make sure that you are offering something that they want, and wording it in a way that makes it sound like something that they need. Turns out, even though we hate to admit it, a lot of us have felt this way and had similar reactions. Use this to your advantage. Convincing your audience that only a select few will be privy to the information you’re providing or that anyone can get the information, but there are restrictions, like “we’ll give you this life-changing secret, if you give us your business”, not only makes you look extra appealing, but it leaves you with all the control. The content of your calls to action and how you write them is also important. What your call to action says can also play off the Fear of Missing Out. Playing off the premise of exclusivity will win you extra action here. You want people to think if they don’t do this now, they’ll never have the chance again. Think of any word or phrase that suggests now. Things like last chance, limited supply, only a few left, ends tomorrow, limited time only, one-time offer, expires soon, urgent, immediate or deadline are all good for invoking the fear that they might miss out if they don’t act. While you’re being fun, be sure to keep it simple. If they’re clicking something that says “now” you don’t want to make them fill out an application, that hardly seems like a now kind of thing. A name and email address should do up front, just set it up so you can get the other information from them later on. How many times have you been to a store with too few checkout lanes available, and watched people abandon full carts in line and walk out the door. It’s the same with your call to action. The more complicated you make it for your readers to complete, the more likely they’ll find a way to change their mind or forget any reason you gave them that they needed to take action. Fear isn’t the only way to tug at your reader’s emotions. Instead, give them hope. Convince your audience that there is a serious problem, that they have it and that there is a solution. Weight loss companies are notorious for this “You’ve tried everything to lose weight, but nothing has worked,” can easily be countered with, “Try this safe and proven method that returns results every time, risk free!” Assure your audience by using the words “safe” and “risk free”, and give them hope by suggesting it’s “proven” and “returns results” in your calls to action. You want your call to action to jump off the page your audience is looking at. You want to avoid doing what everyone else does. Start with your buttons themselves. The rounded buttons tend to stand out best as they tend to contrast the box-likeness of the text on the page, further increasing the number of visitors that take your desired action. Make your CTA stand out with fun colors. The colors should compliment your site, but don’t let it blend into the background by making the button one shade of blue different than your background. Don’t be afraid to toot your own horn here. Use testimonials, case studies and other social proof that you have gathered from your current or past clients along the page. Do make sure that this social proof is all legitimate and relevant to what you’re asking your audience to do, this alone can increase conversion rates by 68.7%. Use high quality, relevant images to further emphasize and support the goal of your call to action. If you want to “let them in on a secret”, using an image of someone whispering in someone’s ear is a good idea while using a cell phone picture of your golden retriever, Snoopy, is not. All in all you don’t want to overwhelm your audience. If you give them just enough to make them want more, then they will request more. Pay attention to how you feel when you look at and read your calls to action. If there’s even the slightest chance that you wouldn’t take action or that you're feeling a bit overwhelmed with the amount of CTA’s on your site -- whether because the appeal wasn’t strong enough or because you felt pressured to act -- chances are it’s too much for your audience as well. Want to bounce some ideas off of us? Call one of our marketing professionals today and we’d be happy to help.